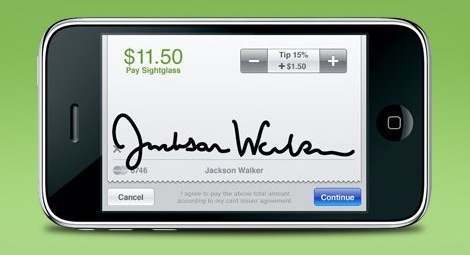 The Square iPhone-based mobile payments system has now officially launched. 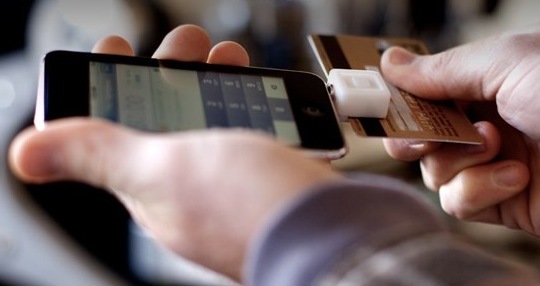 Currently based around the iPhone and iPod touch – though with support for other mobile devices promised – the Square system attempts to bring cashless payment to the masses, using a compact card reader dongle that plugs into a standard 3.5mm headphone socket and electronic receipts. According to Square CEO and co-founder Jack Dorsey (who also co-founded Twitter), the system will be useful not only to merchants – who could potentially save large amounts compared to buying current-generation dedicated wireless credit card readers – but the general public. He points to a Craigslist transaction, which might involve a reasonably large quantity of money – i.e. larger than you’d feel comfortable carrying in cash – but which could be completed electronically if the seller had a Square account and adapter. None of the transaction details are actually stored on the iPhone itself, it’s just used as a wireless conduit to Square’s servers, and accounts are linked with a regular bank account similar to PayPal. 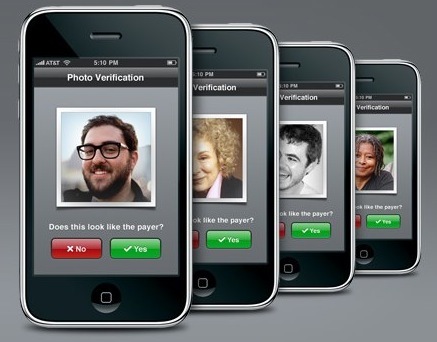 Users can register and upload a photo of themselves, for visual ID checks, and Square are working on reducing processing time; right now it takes a few days, but they’re hoping to have the whole transaction done in minutes.